Just landed in Phoenix!!! Yah!!! 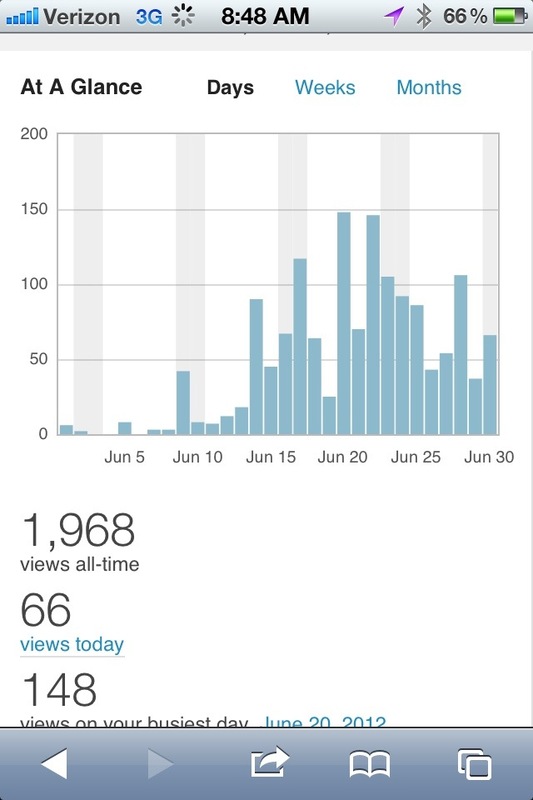 My mom has been asking me daily about the stats on the blog. So for the record I have had 1968 hits. (funny how that number is oddly familiar). 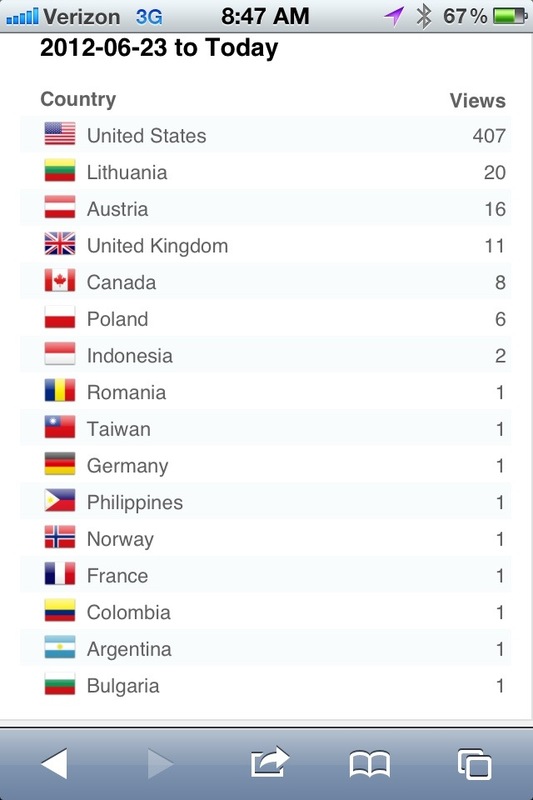 See my stats and the follows by country below. I wonder who those views are from out-of-the-way places. Now I feel bad that I haven’t checked your blog in a couple of days. I could have pushed you over 2000 if I had been checking frequently. Beth, I have so enjoyed reading your blog. The most remarkable and unbelievable part, for me, was the nice US Air person who changed your ticket.